This is a short notice to say that www.gmail.co.za is NOT Google’s GMail. GMail is obviously not GMail! You’re probably asking yourself why you care, and why I’m stating something that could be obvious? Well, because to a LOT of people, it’s NOT obvious. In fact, to any normal techie, it’s a head-slapping problem. Non-techie visitors to THIS site, which in my mind looks NOTHING LIKE GMAIL, are STILL trying to log into GMail using the search box. They’ve just searched for something like “GMail Login Page” and land on this website. Then, without thinking, try and log into GMail here. That sounds dumb, right. Now, imagine how many usernames and passwords gmail.co.za is getting? I REALLY hope they’re responsible, and don’t decide to use that information for evil! Yes, it sounds selfish, but so many times I feel like I am really glad that I am the owner of a specific website, because I could defraud a LOT of people out of a LOT of money if I were evil. But I’m not, and I hope you’re not either. I am one of the directors of Gardale Solutions (Gsolutions) that owns gmail.co.za. Let me start off by stating that we do definitely not store any information regarding users trying to login to our gmail.co.za free email service with their gmail.com credentials. 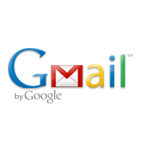 I would like to think that our branding and website differs substantially to that of gmail.com and we make a concerted effort to distinguish ourselves. We do not concur that only tech savvy individuals can distinguish the difference. gmail.co.za was registered and launched in 2003 prior to any public release of gmail.com. We launched as an ISP and continue to operate as an ISP. We are in the process of developing a new free email interface that will be a massive improvement from what we currently offer. You (and anyone else) are welcome to give us a call regarding any matters you wish to have clarified. I’m glad to hear that you don’t store the information. But I STILL get at least 20 visitors a day who think MY site is GMail, and I don’t even provide an email service. It is always a difficult task to cater for everyone. If you or any of your readers have any input or suggestions we would be very happy to hear them. All our contact details are on our website. I will say after thinking about what you both parties said. That i think if GSolutions started the http://gmail.co.za before the Google’s http://gmail.com then it reserves the right to continue its services, if not they should stop what they are doing.